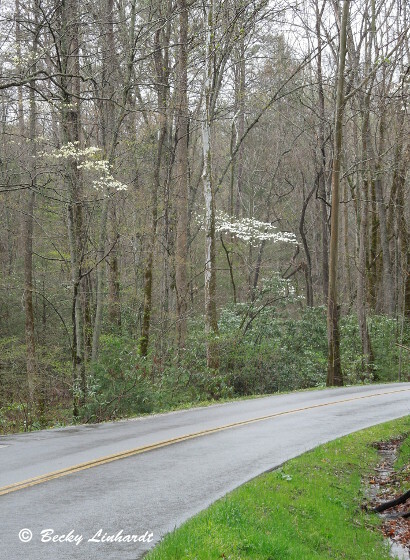 Spring has come softly to the Smoky Mountains this year, much as it has in the past. 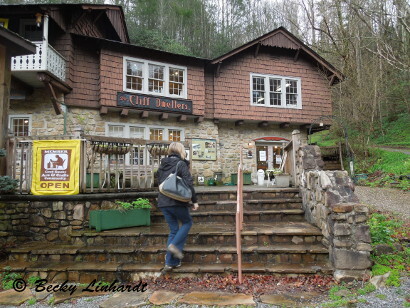 As a travel writer I have visited Gatlinburg a number of times and I watch TV coverage of the 2016 fire with horror. 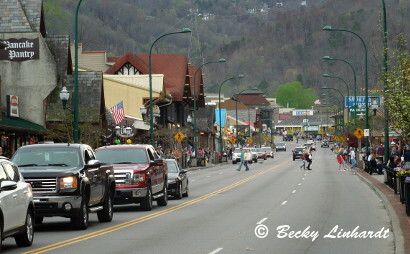 Then in early April I visited, joining numerous families making a traditional Spring Break visit to Gatlinburg. I found things little changed along The Parkway. The Gatlinburg area has some scars from the late autumn fire, but it was not the devastation that national news seemed to sensationalize. Residents mourn the loss friends and family. Everyone has a personal story, many about how the fire seemed capricious – burning one home but not the one next to it. The fire seemed to favor the ridgelines where many have homes and cabins. In the valley, the heart of business district, few structures were affected. 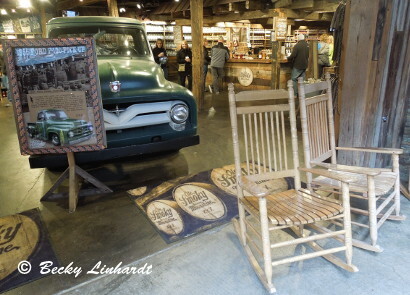 You can wander along The Parkway as usual – stop for fudge, popcorn, souvenirs, maybe claim a rocking chair to sit a while and listen to live music at Ole Smoky Distillery. Although the fire swept along the hillside behind the Aquarium, the building, the sea life, and the staff were safe though some staff members lost their homes. 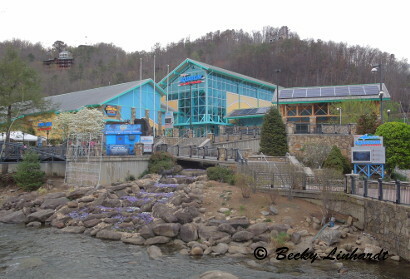 You can see the burned shell of “The Castle” high on the hill behind the Aquarium. Many locals credit the concrete parking structure behind the Aquarium with diverting the fire away from the Aquarium and from The Greystone Inn. 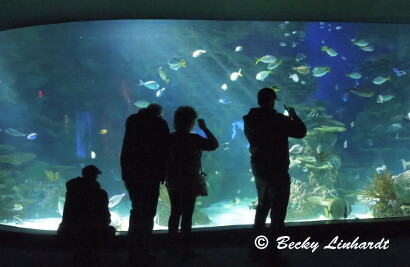 The Aquarium is always a favorite place to visit – an underwater world of beauty to explore when the weather is less than optimal for hiking in the Great Smoky Mountains National Park where some hiking trails are closed for repairs but most roads within the park are open. Spring is bringing renewal to the woodlands. The park road along the southern edge of town is a study in contrasts as some areas show signs of the burn and others – nothing. And, even in the burn areas, wildflowers could be seen began pushing up to the light. At Anakeesta Aerial Adventure Park, a new attraction scheduled to summer of 2017, they had planned to cut down “burnt” trees in an ridgeline area scorched by the fire until they noticed that some of the trees are “greening out” so they are delaying final decisions regarding which trees will be cut as they finish construction on The Phoenix Mountain Coaster, the Treetop Canopy Walk, Treetops Playground, and the Dual Racing Zip Line. In the quieter Dales outside of town, the structures of the Arts and Crafts Community were untouched by the fire. 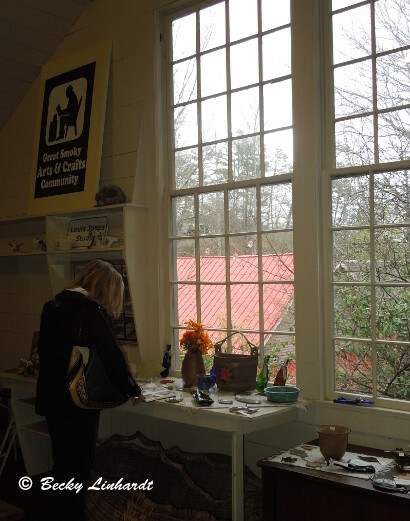 At Cliff Dwellers, the artists were busy preparing for the summer season. 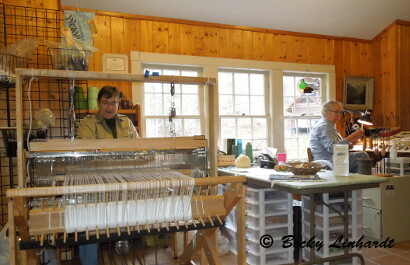 Visitors are always welcome in their shops and studios. 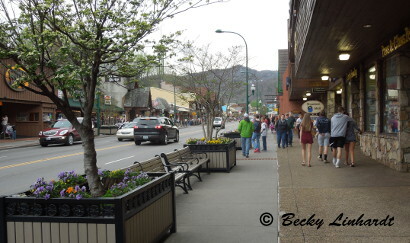 Gatlinburg hospitality is always in season.